Given that the Lehman Brothers collapse that symbolized the end of the previous cycle is now more than 10 years ago, it’s safe to say that the current one has been one of the longest on record. How much longer New York’s current cycle can maintain its momentum is a matter of debate, and we’ve assembled a group of experts to help you sort it out. 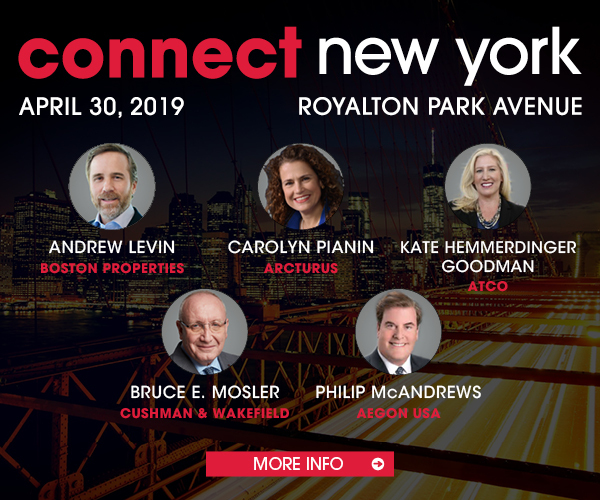 Those experts will take the stage later this month when Connect Media’s Connect Conferences presents its third annual Connect New York event, scheduled for April 30 at the Royalton Park Avenue. Beginning with a keynote presentation by the Real Estate Board of New York’s SVP of government affairs, Reggie Thomas, the conference will spotlight institutional investors and their strategies, the office market’s transformative impact on the city, the continuing rise of New York’s tech sector and the outlook for multifamily investment sales. Experts from Brookfield, J.P. Morgan, the Moinian Group, Cushman & Wakefield, Common and many other leading firms will be onstage. Check back over the next two weeks for one-on-one Q&As with the industry leaders who will be part of this year’s event.